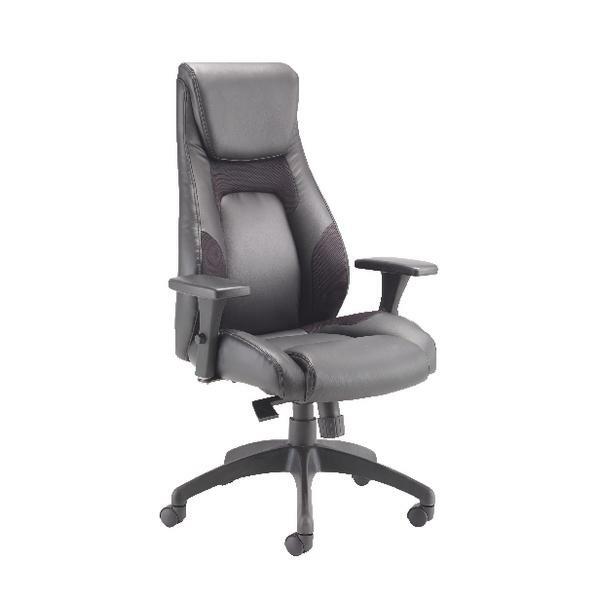 With a comfortable leather and mesh design, the Avior Veloce managers chair provides day-long comfort. Upholstered with leather look and comfortable mesh fabric for supreme comfort for up to eight hours a day. The ratchet back height adjustment lets you adjust the back height for extra comfort, and the seat height adjustment offers a flexible seat height between 480mm and 540mm. The 3D arm adjustment provides ultimate comfort for working at your desk all day. With a five-castor base, it provides easy mobility around your office.